Thursday 14 December 2017, 5.00-7.00pm. She is a phd researcher in her last (4th year) in the History department of the European University Institute in Florence, Italy, under the supervision of Lucy Riall. She completed her undergraduate dissertation on the journalistic debate surrounding the monument dedicated to Rodolfo Graziani at the University of Nottingham. Since beginning her phd she has presented her research at Columbia University, the annual Italian Public History conference and has completed a fourth month fellowship at New York University with the supervision of professors David Forgacs and Ruth-Ben Ghiat. The focus of her research is Rodolfo Graziani, a military figure from the Facist period. 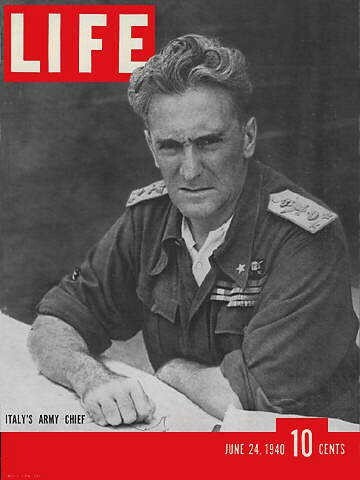 He became a household name in Mussolini’s Italy due to his leading role in the state’s colonial wars in Africa and in the Second World War, where he led offensives on the North African front against the British, and back in Italy against the partisans. More recently, Graziani been back in the spotlight due to the erection of a publicly funded monument in his honour in 2012. A controversial man during his lifetime, the recent commemoration has sparked fierce reactions from foreign onlookers and some sects of Italian politics and society. His memory thus remains a fervent and multifaceted one and signifies heavy tension in current attitudes to Italy’s recent past. Whilst he is not the only example of the nation’s divided memory, few other figures have generated so much discord in the nature of remembrance in the public sphere as Graziani has. During her phd, she has therefore traced the public representation, myth-making, and remembrance of Graziani in Italy and abroad in order to fully account for such a phenomenon. Whilst recent scholarship, the press and politicians have since been quick to comment on this commemoration, continued politicisation of both fascism and colonialism have hindered objective analyses and thorough research remains weak. This project therefore aims to shed light on all of the historical actors that have resulted in both the heroisation and vilification of this important historical player of 20th Century European history, as both views continue to coexist unabated.